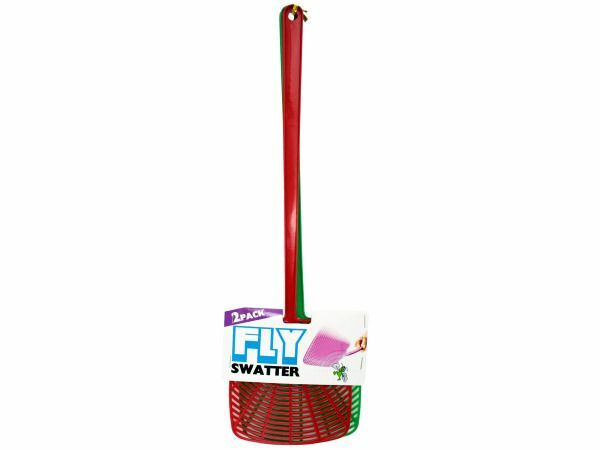 Get rid of pesky flies with this 2-piece Fly Swatter Set featuring vented plastic fly swatters with hang holes on the handles for easy storage. Each swatter measures approximately 16 3/4 long. Comes packaged with a wrap around.